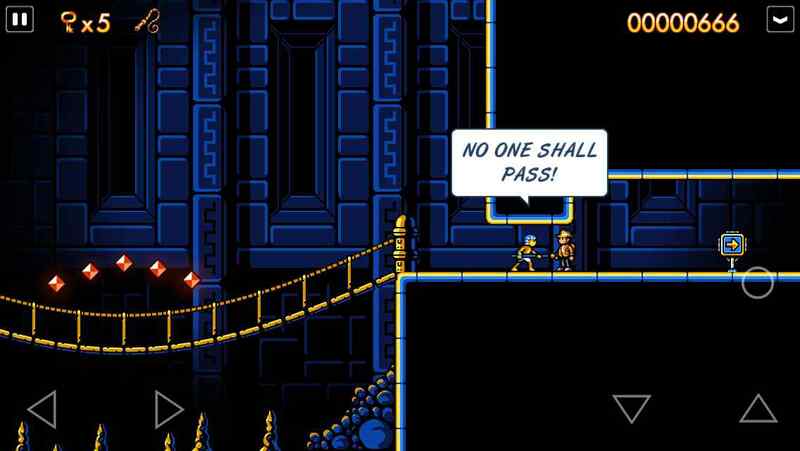 10 word description: Metroidvania style platform exploring action/puzzle game. Game Center. 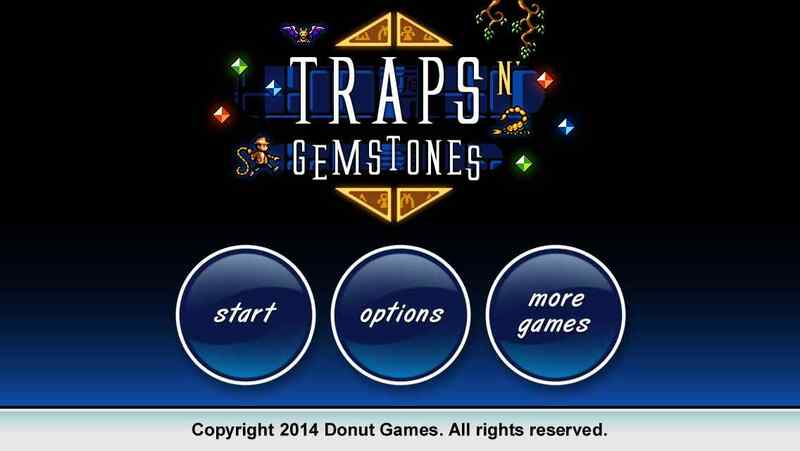 10 word review: Loads of fun; classic genre in Donut style. Highly recommended. 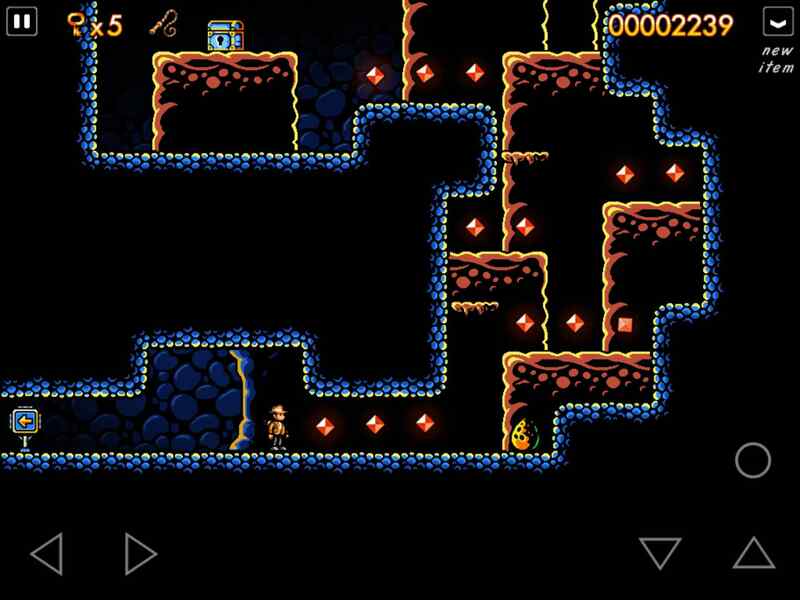 You will like this if you enjoy: Exploration platform games (Castlevania / Super Metroid). 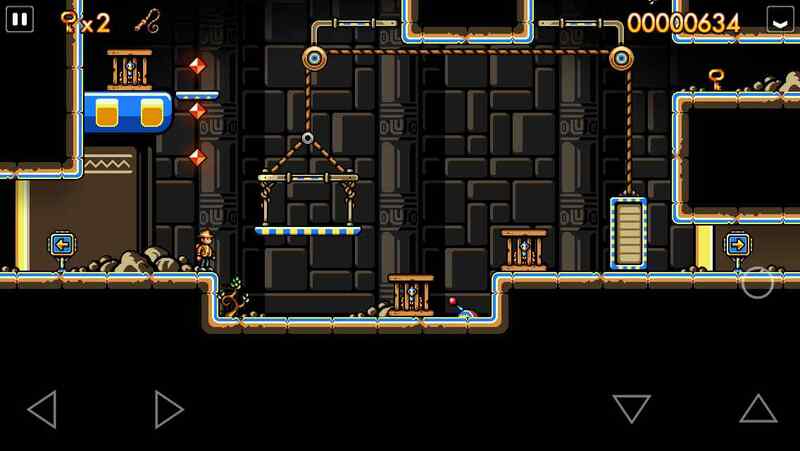 The good news: Instantly fun; great controls + varied and well-designed rooms/levels. Loads of content and a constant sense of progression as you discover new items (whip, gun, etc.) and open up new areas. No IAPs. 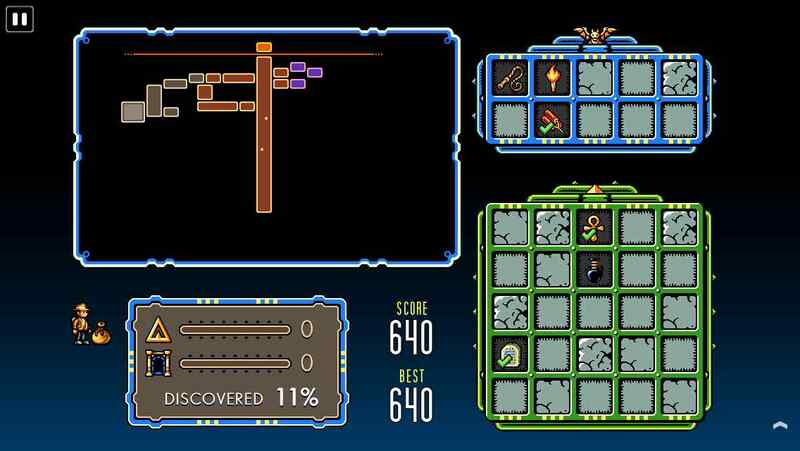 Arcadelife verdict: This is a great game; pure, enjoyable Metroidvania gameplay with no IAPs to get in the way of actually playing and enjoying the game. 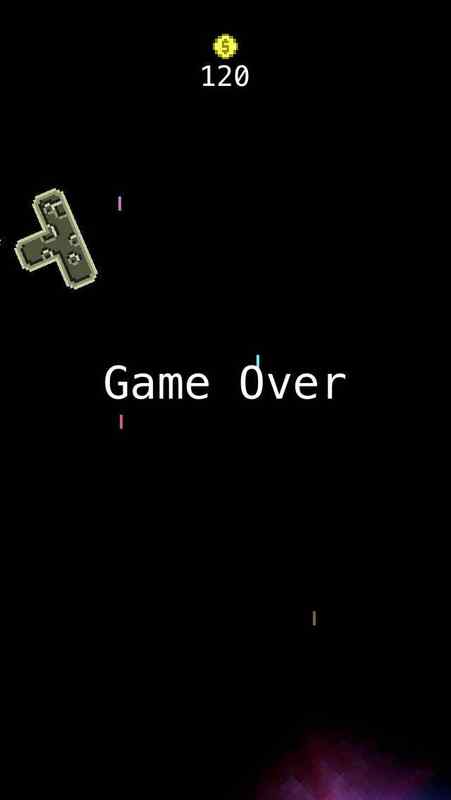 It starts off fairly easily as you are introduced to the various gameplay elements but the challenge soon increases with traps and puzzles becoming tougher. Your score (coins collected) is reset when you die, although your overall progress is not, which makes achieving a massive high score an elusive and entirely optional goal. Overall – bloody brilliant, a new benchmark for iOS platform adventures and a joyful kick in the nuts for cynical, greed-inspired IAP-bloated freemium garbage. 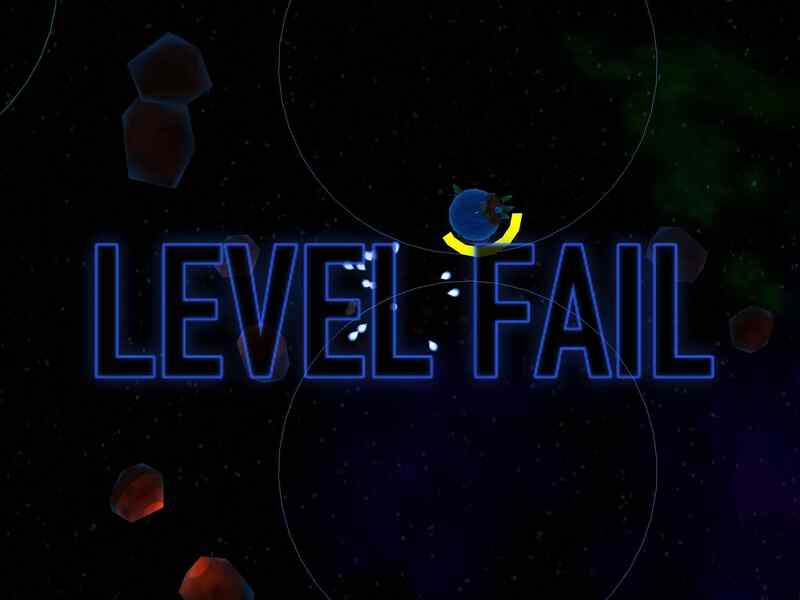 10 word description: Vertically scrolling shoot-em-up. Tilt controls. Game Center leaderboard. 10 word review: Simple yet curiously enjoyable; would benefit from alternate control method. 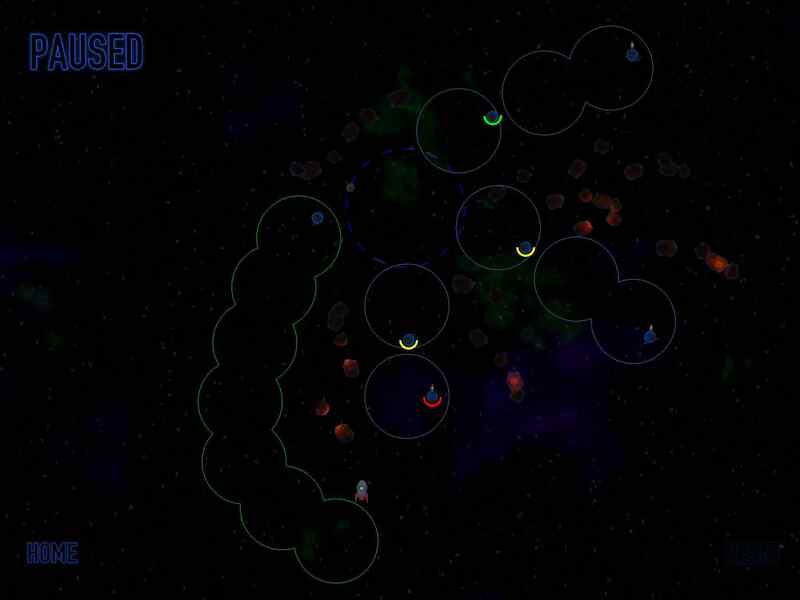 You will like this if you enjoy: Basic space shooters from bygone days. Tilt controls, aka “playing one-handed”. The good news: Straightforward (classic) gameplay is ideal for pick up and play gaming. 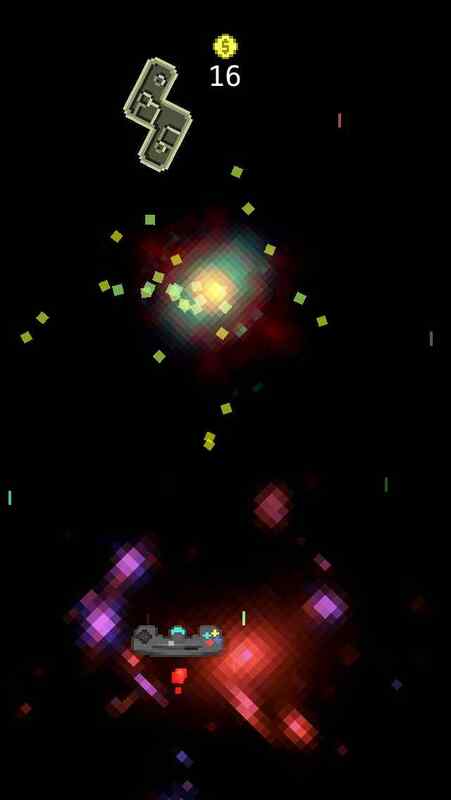 Enemies are Tetris blocks and retro arcade consoles, unless I am much mistaken. 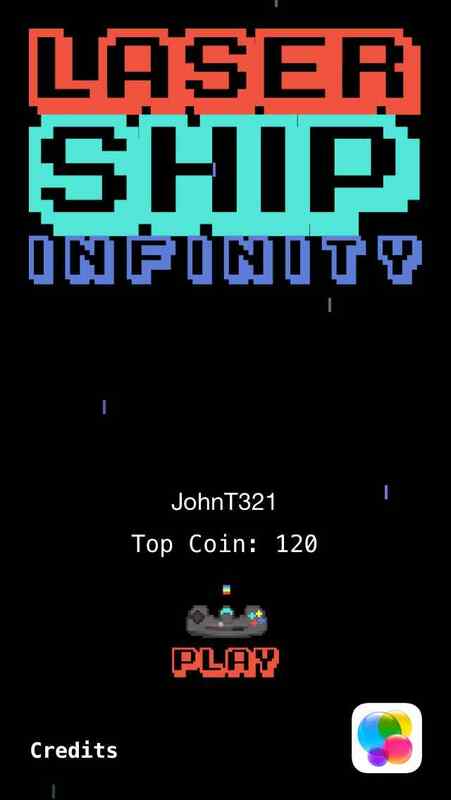 The name Laser Ship Infinity is really cool. The bad news: Tilt movement control with no alternative option (rumoured to be addressed in a forthcoming update). Gameplay does not evolve and challenge does not increase. Although ‘coins’ are earned there is nothing to buy with them such as permanent ship upgrades, etc. Arcadelife verdict: This game feels dated even by iOS gaming standards, with a single ‘endless’ style game mode, tilt controls, no unlockable stuff or any kind of ship upgrades and a very basic GC leaderboard. 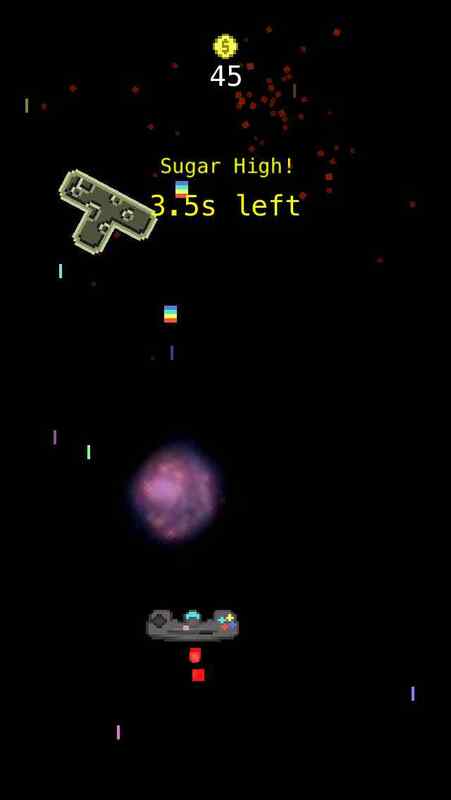 In a straight comparison with other iOS vertical scrolling shooters, for example Danmaku Unlimited 2, it seems very limited in both scope and content. However, it has enough of a high-scoring hook to become fairly addictive once you resign yourself to the mandatory tilt controls. It would be good to see this game updated with a set of permanent ship upgrades – give us something to spend those coins on but please don’t tag on any IAPs! Also worth noting: the larger screen area makes the game considerably easier on the iPad and more challenging (less room to manoeuvre and dodge objects) on iPhone/Touch devices. Of course, the tilt control on the iPad is as much of a bad idea here as in any other game where it is the only available option. 10 word description: Point and click adventure. Over 100 locations. Full voice acting. 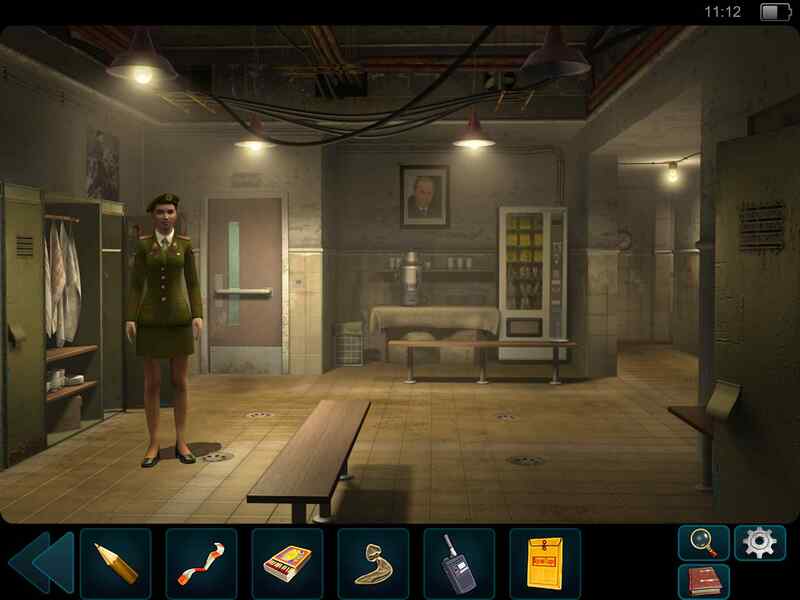 10 word review: Enhanced touch screen experience, no IAPs. 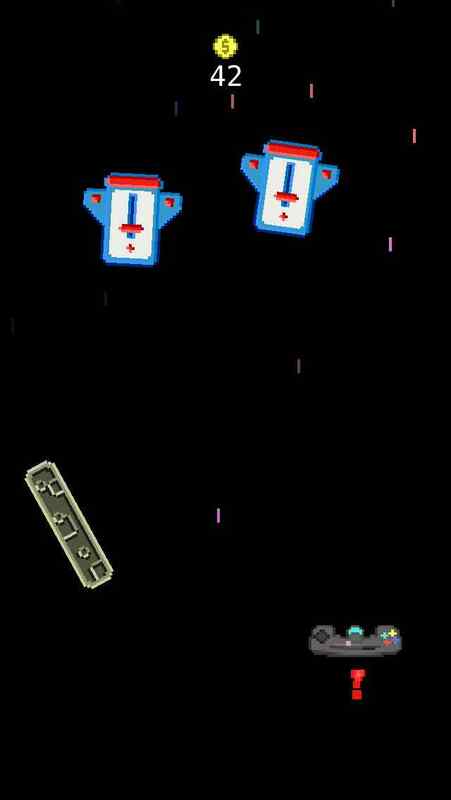 Pretty graphics, challenging puzzles. You will like this if you enjoy: Point and click adventures. The classic genre tradition of combining item X and item Z from location A to use in location B to solve a puzzle. The good news: Touch screen conversion and enhancements are very good. Full voice acting for all characters. Lots of varied and atmospheric locations. Cute protagonist – I know, I know, but she is. 3 separate save slots; save any time. 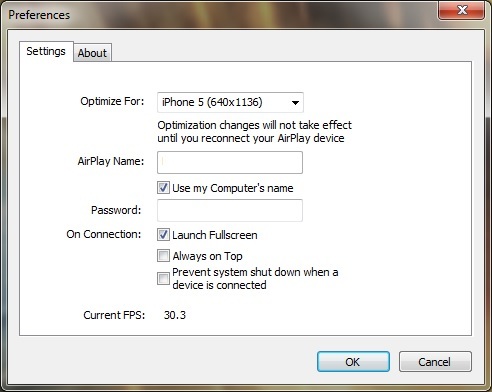 Cloud sync saving so you can play on multiple devices. Decent tutorial plus in-game walkthrough (if you need help). The bad news: Although it is universal, playing on the smaller (iPhone/iPod Touch) screen is fiddly despite some great efforts to optimise the screen layout on those devices. Some items (that were already borderline invisible on the PC version) are extremely hard to see on the iPad screen, resulting in a fair amount of full-screen fingertip exploration in order to detect essential items. 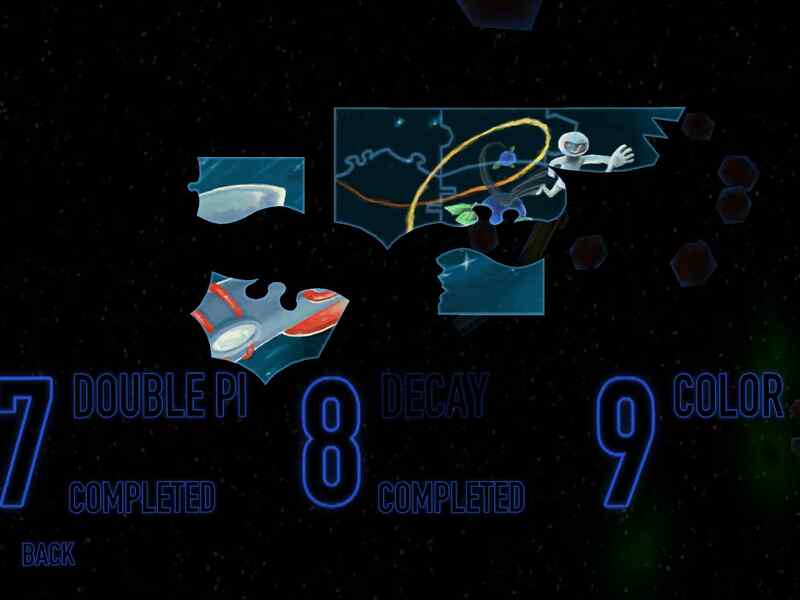 Some of the puzzles are not particularly logical, for example the sequence involving the cat in one of the early locations. 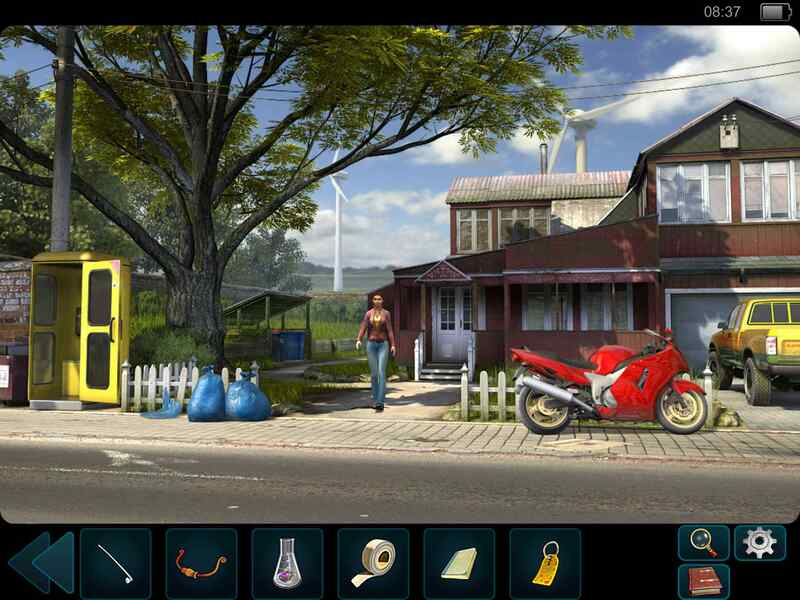 Arcadelife verdict: Secret Files Tunguska was originally released on PC and later ported to both the Wii and the DS. 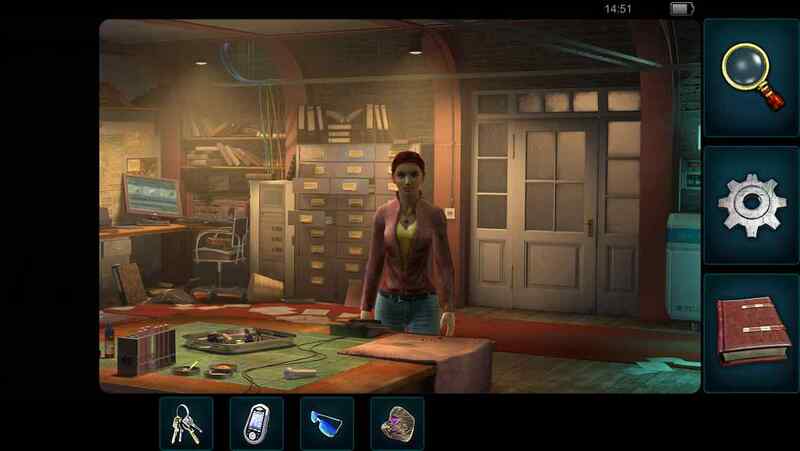 It’s a very attractive looking game that sticks to the point and click genre standards; the iOS port has obviously been handled with a good deal of consideration for how the game will play on this kind of device. 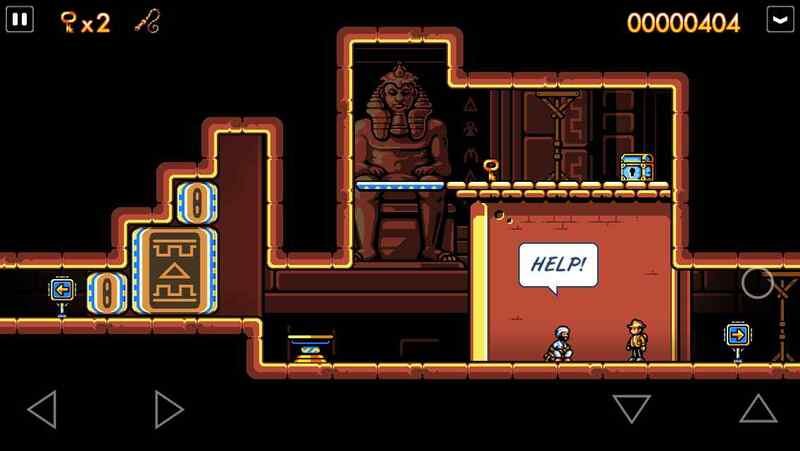 The puzzles are frequently challenging and you’re not going to breeze through this game (unless you frequently resort to the built-in walkthrough guide). I will quite happily recommend this game for fans of the point and click genre but if you have already played through it on another platform you are not going to find anything new in this version. 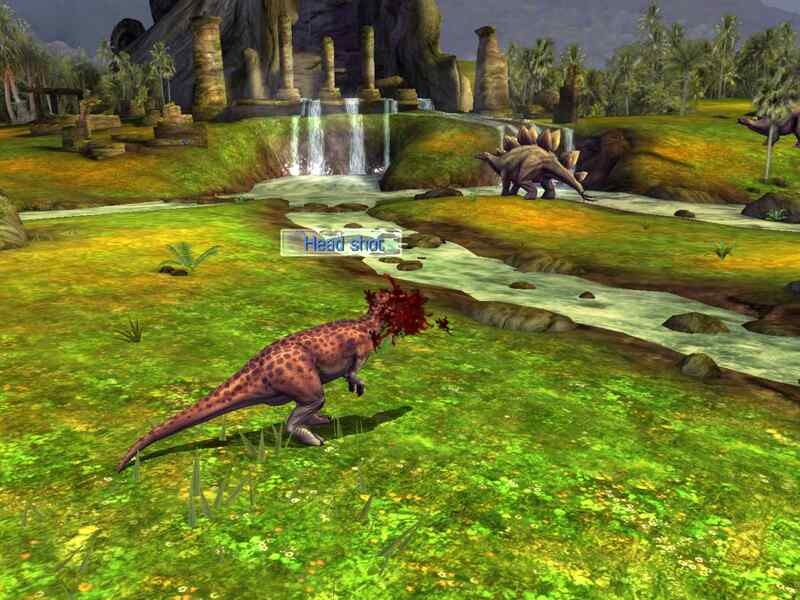 10 word description: Dinosaur shooting gallery. 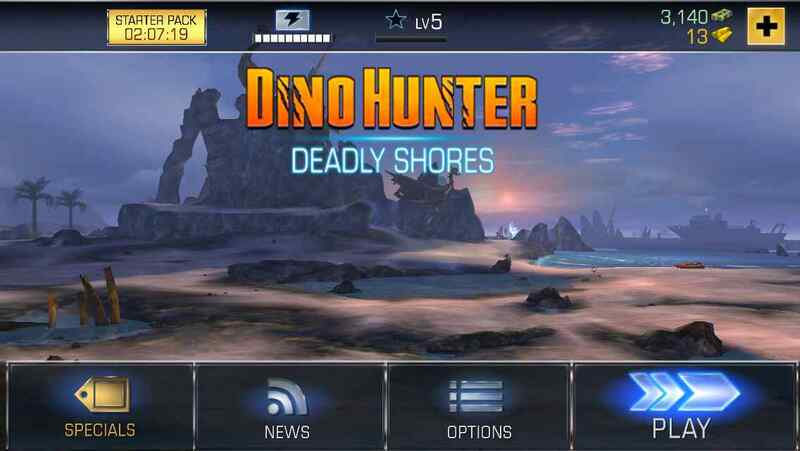 Numerous dinos, weapon upgrades and IAPs. 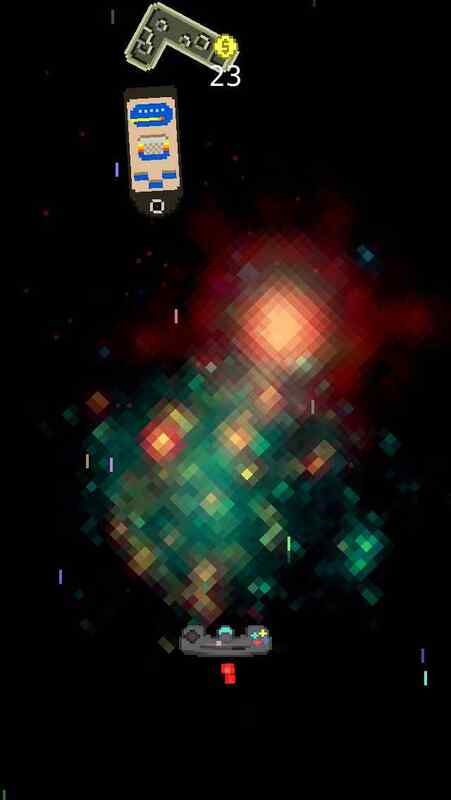 10 word review: Enjoyable despite IAP overload. 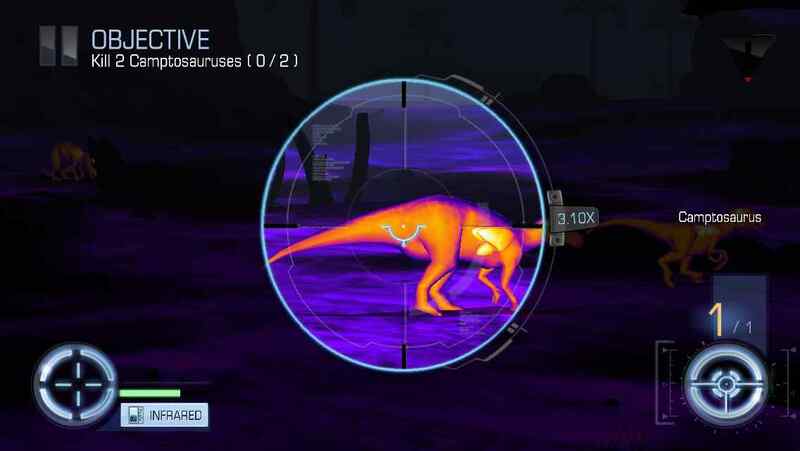 Dinosaurs look great; Very polished overall. 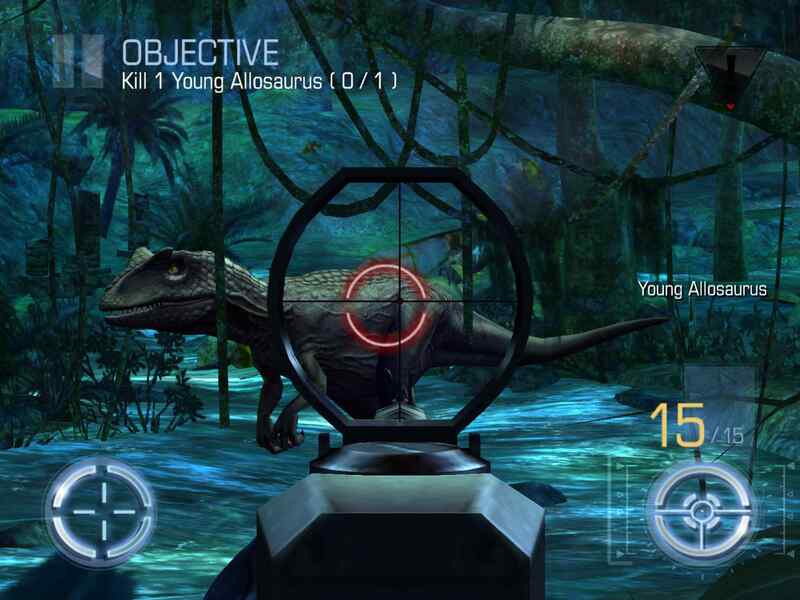 You will like this if you enjoy: Sniping games, target shooting games, anything involving dinosaurs (and shooting them). The good news: Presentation is of a consistently high quality. 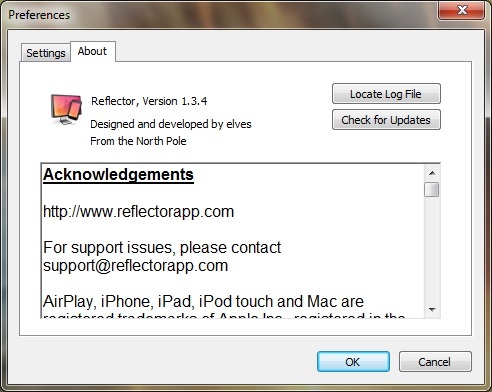 Backgrounds are varied (between regions) and nice looking. 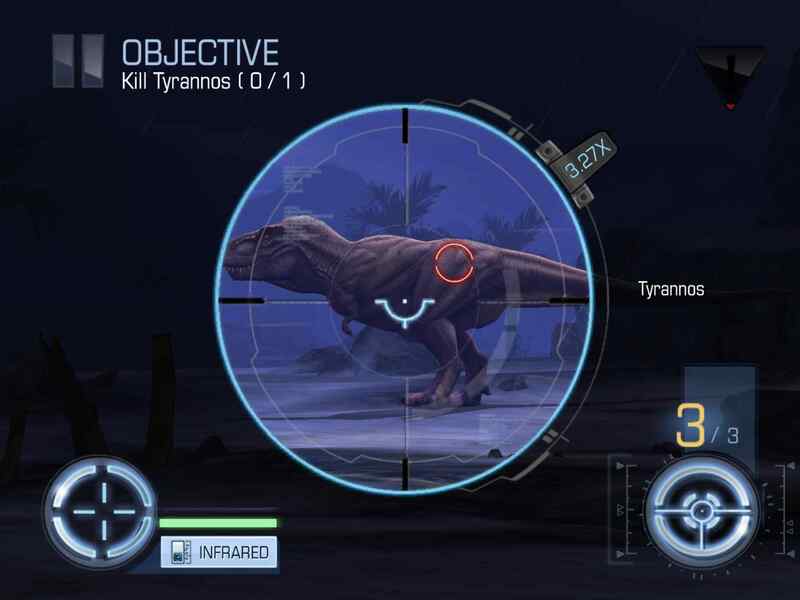 Gun models and dinosaurs are detailed, varied and realistic. Dino animations are decent. Mission structure and weapon upgrades fit together well. Infrared (more like Predator x-ray vision) is a slick and entertaining feature. For a game which is swamped in IAPs, it is surprisingly easy to progress and complete entire regions without spending a single penny or being forced to wait ages for timers. The bad news: No cloud sync between devices – boo! The IAP timers, although quite short, are still irritating. None of the exotic (or even the slightly higher standard) weapons can realistically be obtained without spending real money. 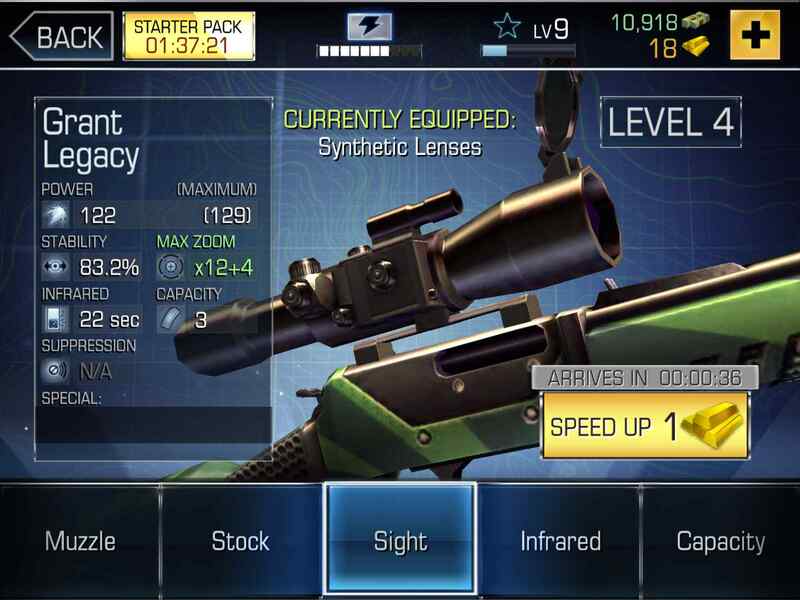 The weapon prices (if you are stupid enough to go the IAP route) are absolutely ridiculous. Arcadelife verdict: If this game came at a premium price without IAPs (and the associated timers and silly weapon prices) it would be excellent. 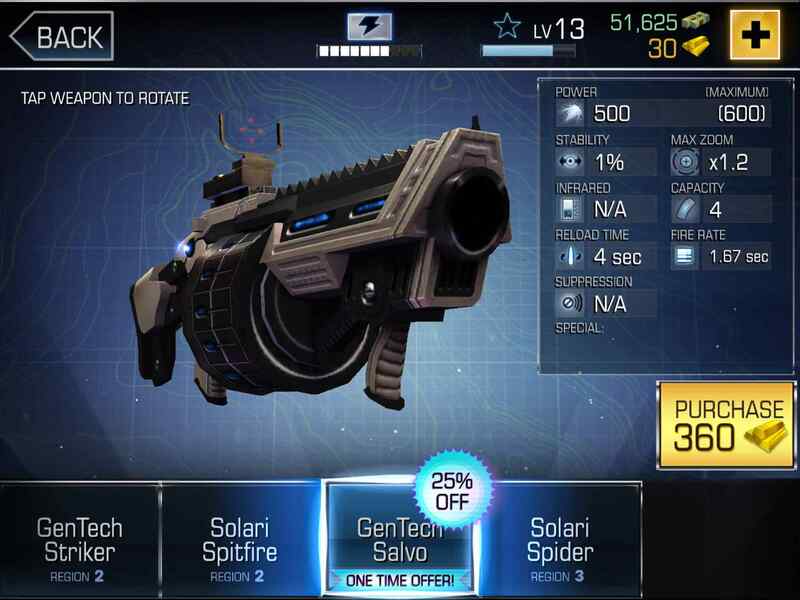 As it is, you need to be able to tolerate two things in order to progress and enjoy it without spending any money: 1 – The energy and high level weapon upgrade timers. 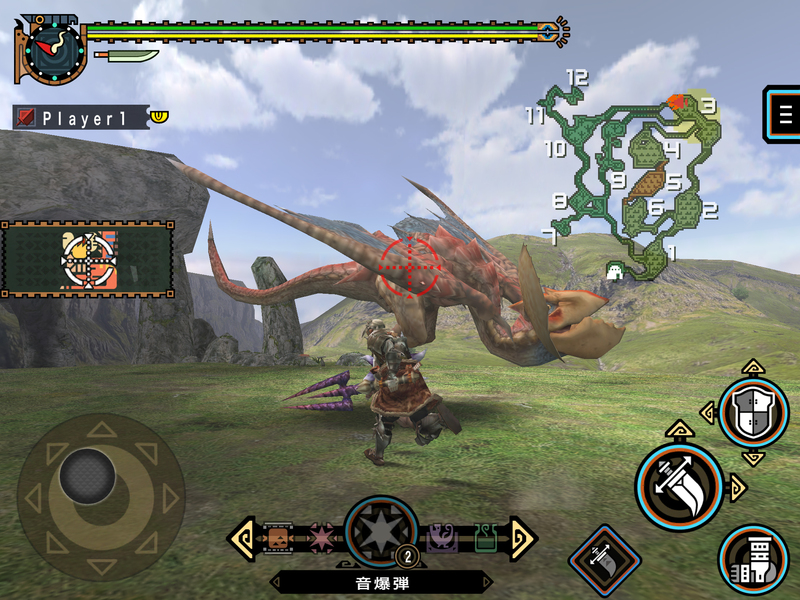 2 – The fact that you will only ever be able to use the “standard” weapons for each region. The good news is that the game can be played and completed without spending any money on it. 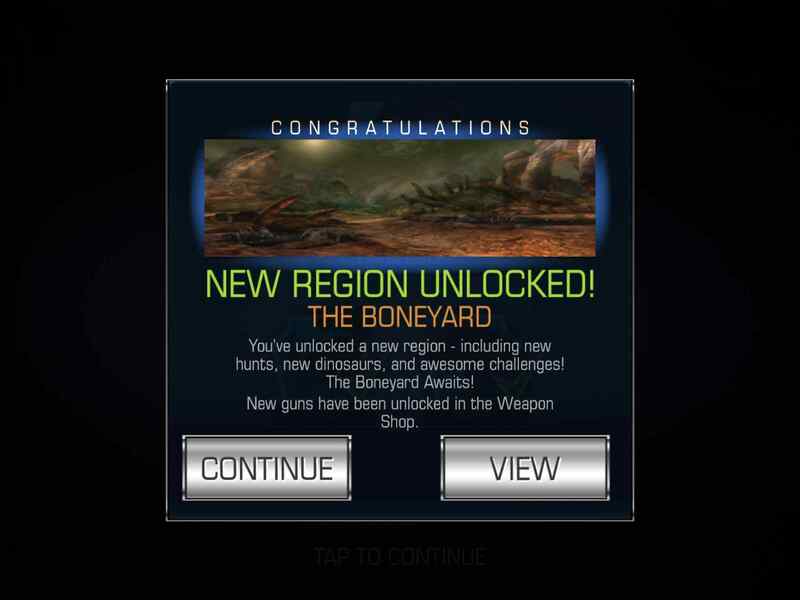 I have reached region 3 (the final area) using only the default weapons, the ones that can be bought and upgraded to their maximum at very reasonable prices with in-game currency. The really weird thing about this is that it suggests that all the better weapons (that cost a lot of real money) will only serve to make the game unnecessarily easy. It’s easy enough with the bog-standard weapons so I can only assume it turns into a complete joke with the expensive ones. 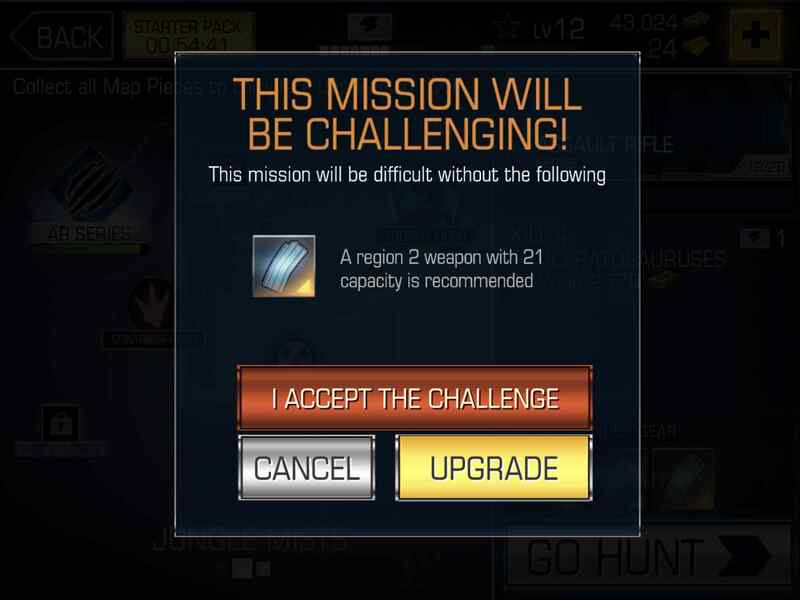 Sure, there are entire mission chains in each region that can’t even be started without specific exotic weapons, but those mission chains are optional and do not prevent progress through the region bosses or access to new regions. 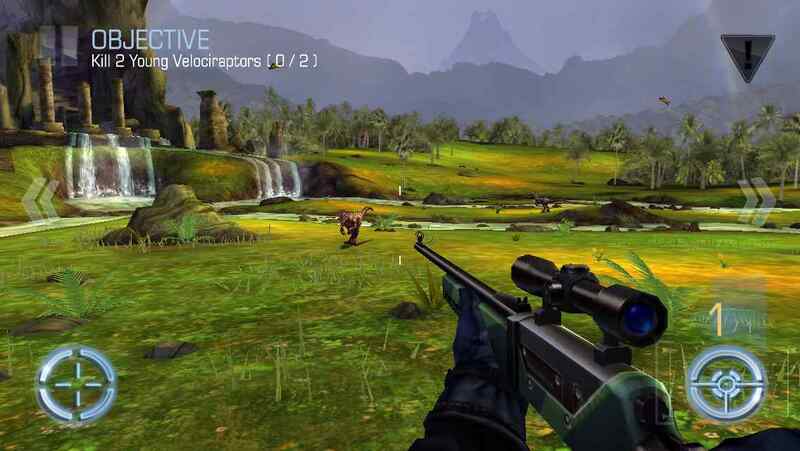 As a “hunting” game, it is rudimentary at best, with no exploration (there’s no character movement apart from aiming your gun) and nothing else to do but aim and shoot. As a target gallery, it is a gorgeous looking series of shallow yet undeniably entertaining prehistoric executions. I’m not sure about the lore or the backstory to the environments; there’s a wrecked Viking longship on top of a rock in region one, and what appears to be a crashed WW2 fighter plane in region 2. Maybe you just make up your own reasons for these, or ignore them and concentrate on shooting hapless dinos in the lungs. I suppose it’s a “mysterious island” or a “lost world” but the complete lack of an explanation doesn’t take anything away from the game. My recommendation: pretend the IAPs don’t exist and have as much fun with this game as you can. Regarding the score (below), I’ve marked “content” down due to the IAP weapons that you can’t acquire without spending loads of real money. Every other sub-score is based on playing the game without spending any money on it. 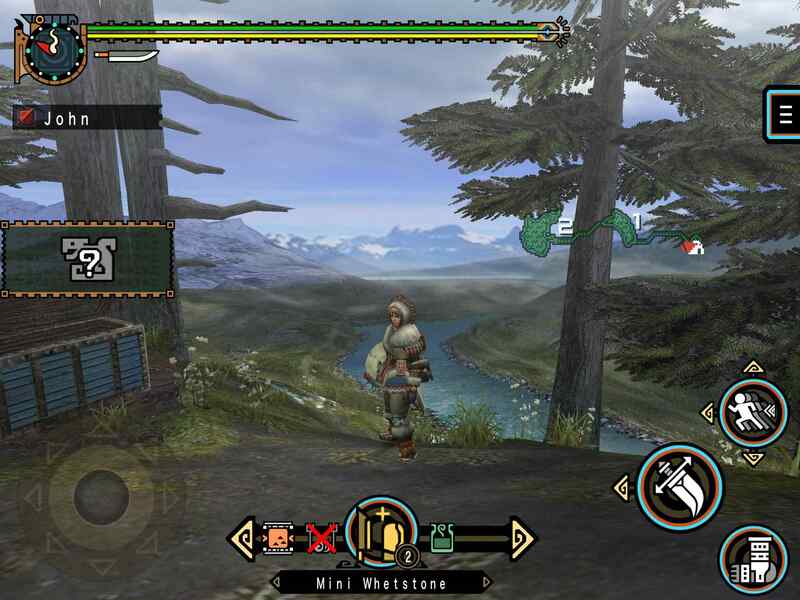 10 word description: Port of MHFU. 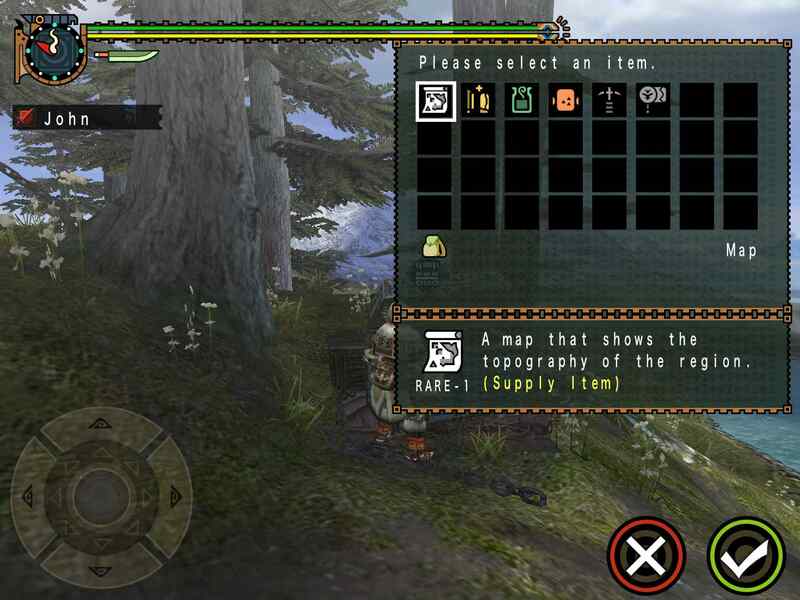 Hunt monsters, wield weapons; fish, farm, explore. 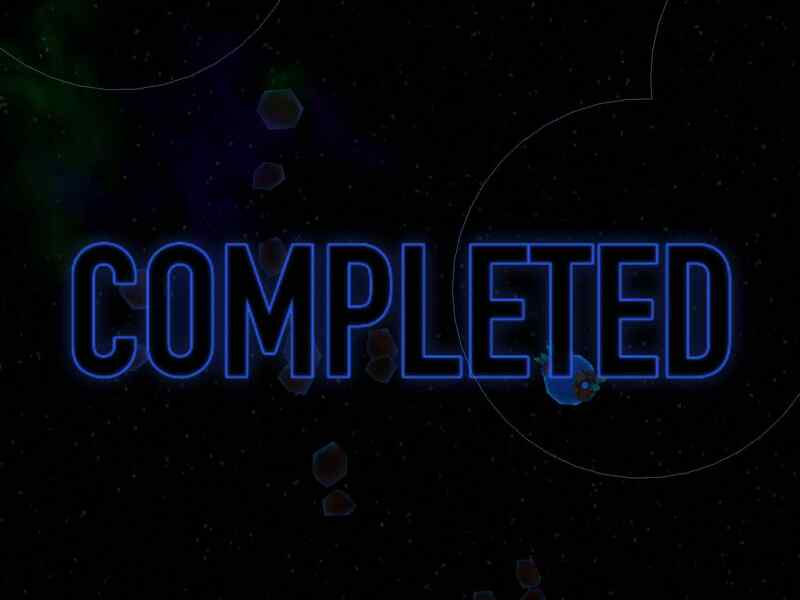 10 word review: Players with time to fully experience this will love it. 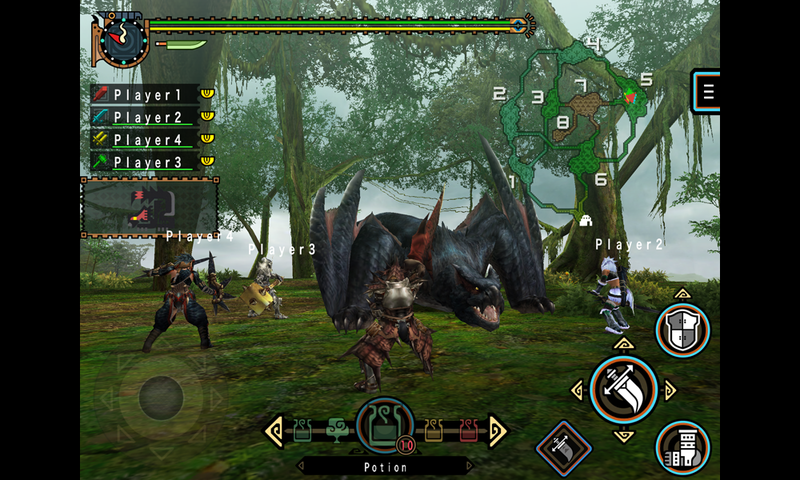 You will like this if you enjoy: The Monster Hunter series. Deep, tactical fighting games. RPGs where the emphasis is on mastering tough challenges rather than levelling until they become easy. Dark Souls, specifically the gameplay concept of a relentless sequence of boss battles interspersed with environment roaming and smaller scale fights. The good news: An excellent, full-featured port. Great graphics and overall presentation. 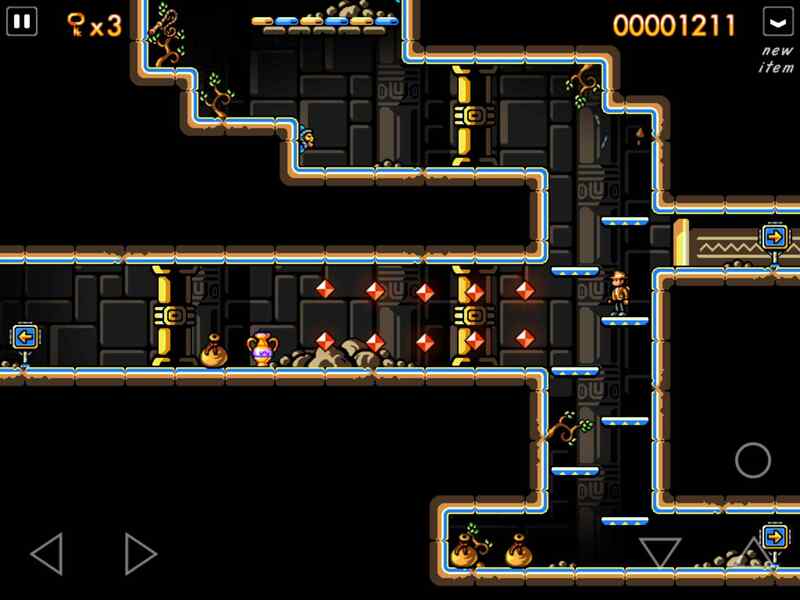 Very well implemented touch controls. Absolutely tons of content. Comprehensive tutorial missions. Loads of in-game information, instruction and lore. The bad news: No Cloud sync. The investment of time required to play and fully enjoy this won’t suit those who are looking for a quick pick-up and play style game. 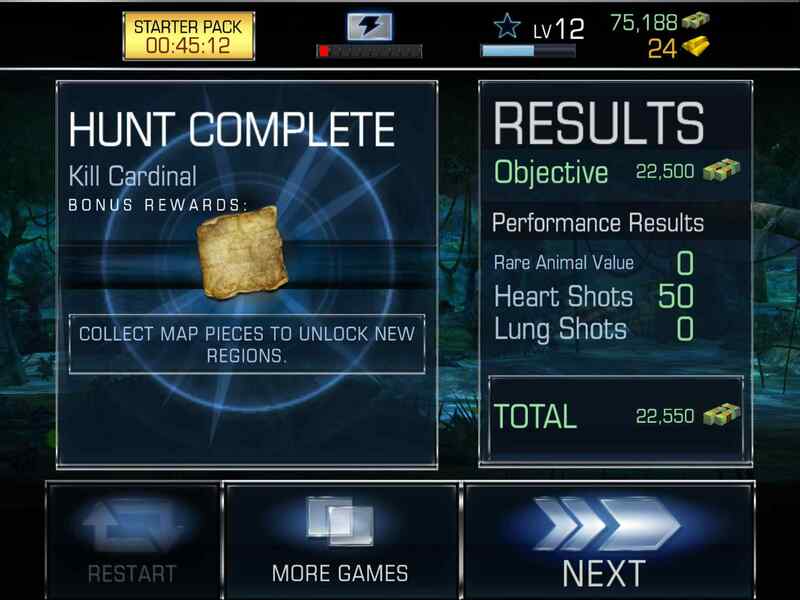 Not quite as much of an epic experience on iPhone/iPod as on iPad, but that shouldn’t come as a surprise to anyone. Arcadelife verdict: There are two ways of looking at this. 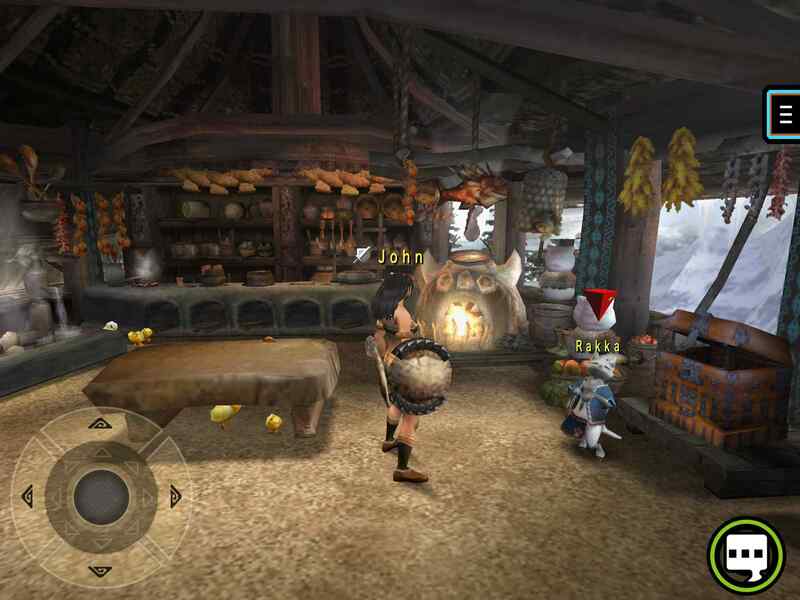 You’re either going to go into raptures and embrace MHFU as a fantastic achievement on iOS… or you’re going to dismiss it because it’s too long, too slow and takes ages to get through. It’s a difficult call because the game is very good, an impressive port and also a huge, engrossing experience without any IAPs. 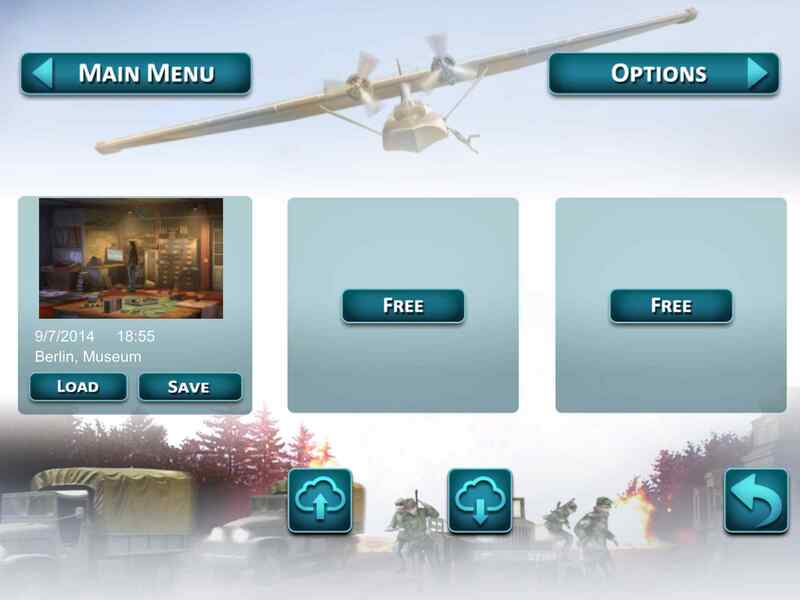 It also has optional multiplayer that adds an extra dimension to the gameplay. If you are a fan of this type of game, it will be personal circumstance rather than anything about the graphics, controls or game features that will be the deciding factor. If you’re the kind of gamer who spends hours gaming happily on an iPad, sign up now. If you randomly dip in and out of games on your iPhone or iPod in short bursts, this game is going to frustrate you more than it entertains, purely because it wasn’t originally designed to be played that way. 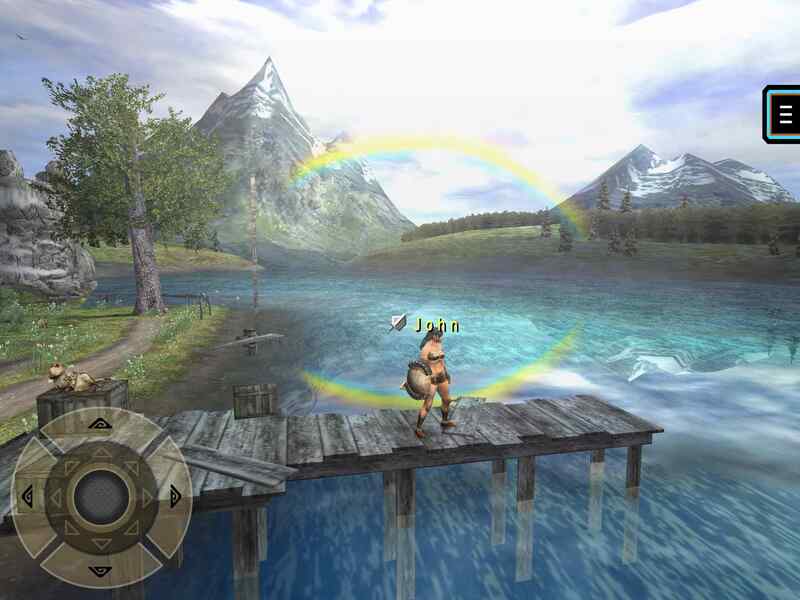 As an example of a deep, content rich tactical action game – there’s nothing much that can touch it on iOS. That describes so many fun nights out. 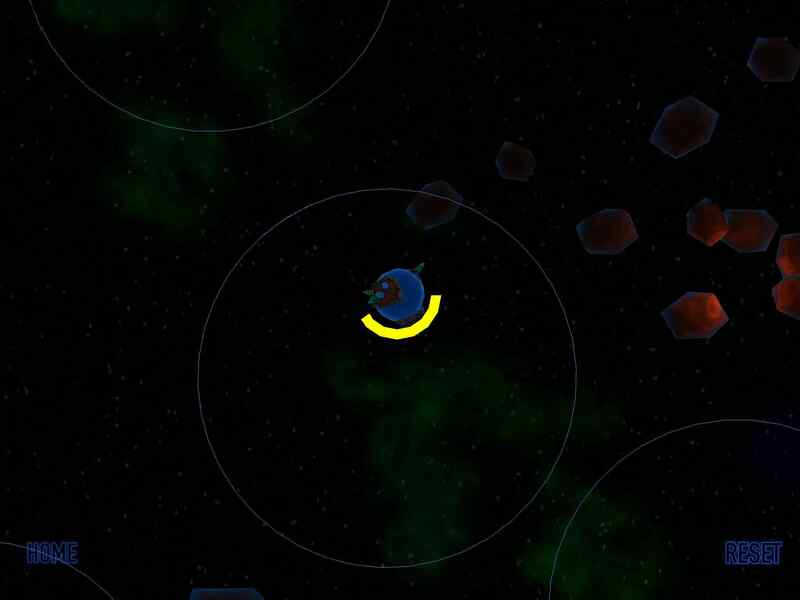 10 word description: Space themed puzzler – evacuate humanoids via spaceship before planets explode. 10 word review: Tough game, the challenge being mostly control method vs countdowns. You will like this if you enjoy: Increasingly complex tasks that become brutally difficult due to time constraints. 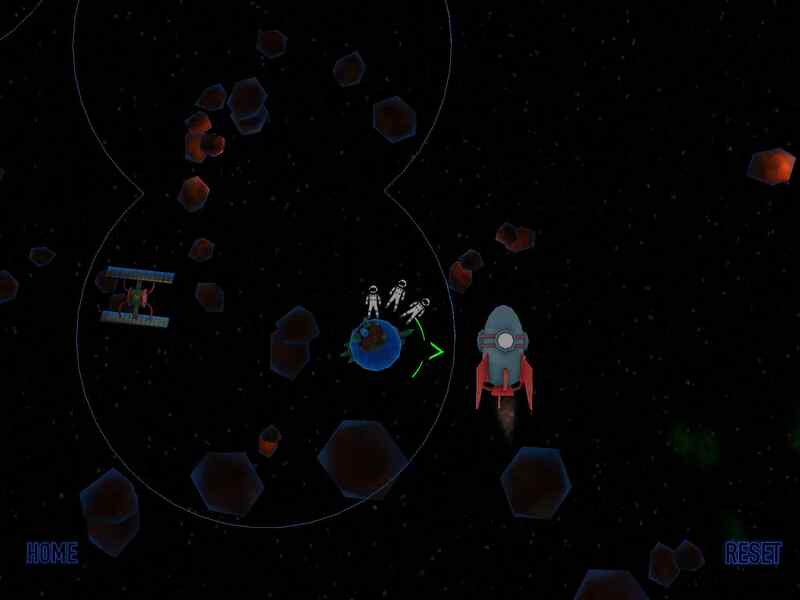 Space games where you save people instead of just blowing everything up. The good news: In its favour, Miniverse is a different kind of iOS game that doesn’t jump on any particular bandwagon or slavishly follow the concept or mechanics of popular genres. The puzzle concept of evacuating people from exploding planets in small, self-contained universes is very good and feels genuinely fresh. Visually it’s quite pretty, with an almost vector graphics feel, as if someone hacked Tempest or Asteroids and added some pseudo-3D effects. The bad news: The controls were making me want to chainsaw my iPad by level 8; once the countdown timers on the exploding planets begin to appear, the shortcomings of the control method become apparent. 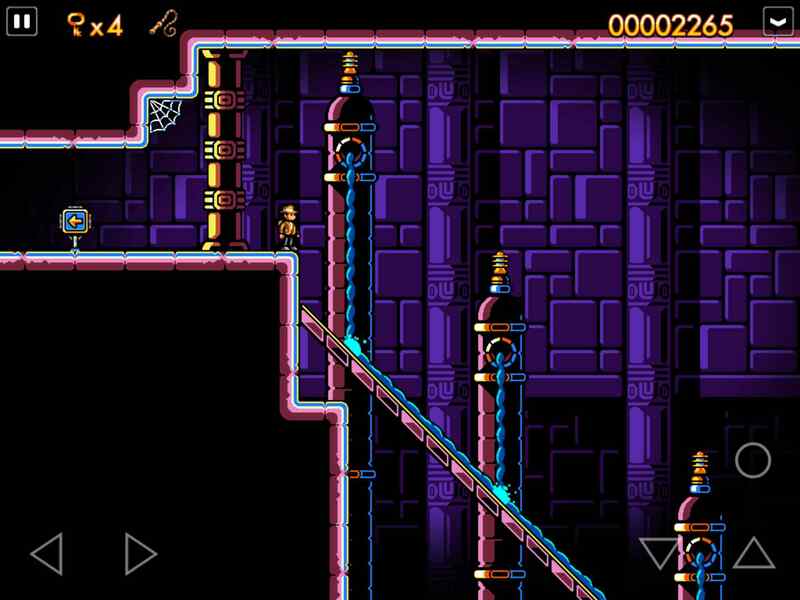 Arcadelife verdict: Puzzle games can be challenging for two basic reasons: 1 – The puzzles are challenging. 2 – Time limits are applied which make straightforward tasks challenging. Miniverse falls mostly into the second category. If you’re a fan of time limits and the associated memorisation, patience, level repetition and, in this case, mastery of a fairly tricky control method, you will probably fall madly in love with Miniverse. If time limits tend to make you cry, rage or shrug indifferently, it probably isn’t the game for you. 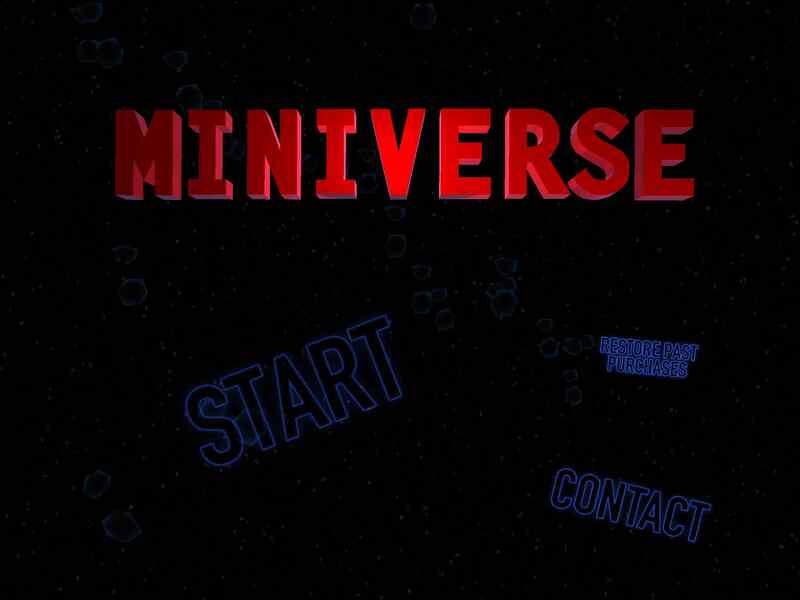 As you get the first pack of levels for free, there’s no reason not to try Miniverse out if the concept appeals to you. Whether or not being different is enough to make a mark on the app store these days, this game is one of the best efforts yet to attempt to find out. 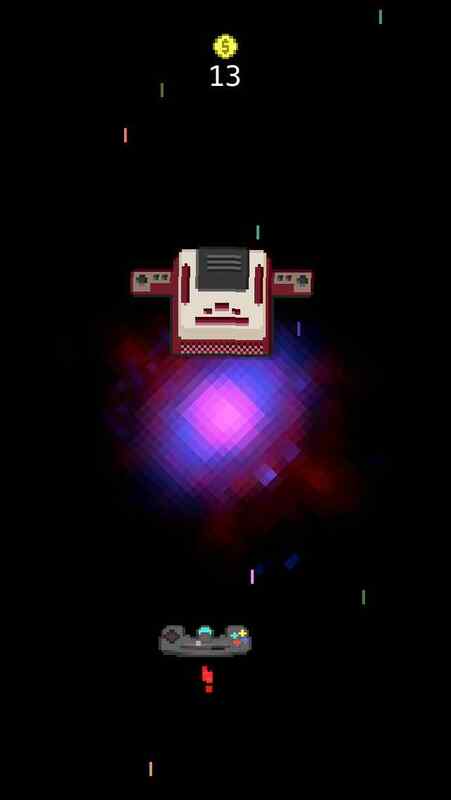 You are currently browsing the ArcadeLife : Life vs Video Games blog archives for July, 2014.